November 29th in Wordpress Plugins by Wordpress Jedi . Digital Paybox: allows you to distribute files in return for a payment. You can let your visitors decide how much they want to pay. The plugin offers encrypted download links and is shortcode driven. BitMate Author Donations: helps you receive Bitcoin donations on your posts. It adds a Bitcoin address fields to user profiles and displays a Bitcoin donation box after posts. 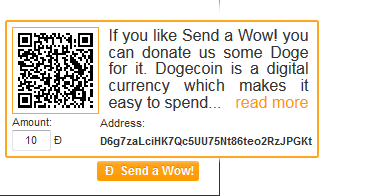 Send a Wow: a Dogecoin plugin for WordPress that allows your visitors to thank you by making crytpocurrency payments. It can be modified to handle Bitcoin payments. Coinwidget: adds a shortcode to your website which embeds a Bitcoin donation button in WordPress. Bitcoin payments for WooCommerce: you can use this plugin to accept Bitcoin for physical and digital products. It could also handle donations and payments for premium content. 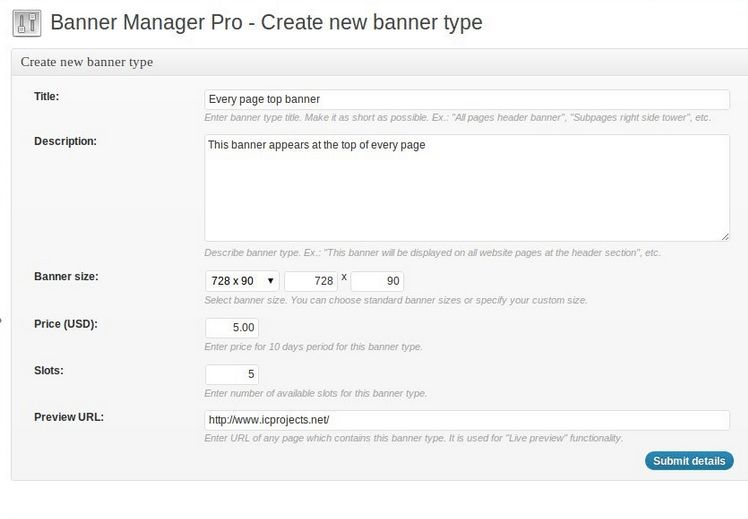 Banner Manager for WordPress: this plugin lets you manage and sell banner spots on your website. It supports PayPal, Bitcoin, and other payment methods. You could use it to accept donations and thank your donors by showing their banner on your site for a limited period of time. Have you found better Bitcoin donation plugins for WordPress? Please share them here.